Man Utd: De Gea, Darmian, Blind, Smalling, Rojo, Schneiderlin, Schweinsteiger, Herrera, Mata, Martial, Rooney. Good point for Palace, some might argue a good point for United. Goals seem to be a problem but clean sheets clearly aren't. Safe trip if you're at the game. See you soon. Quote Message: United were tepid. Goals are a problem. If you can't create you can't score." United were tepid. Goals are a problem. If you can't create you can't score." Not much to tell you about in stoppage time. All over. Another goalless draw for United. Now it's Palace on the attack and Yannick Bolasie heads over. Three minutes of stoppage time. Rare chance for United, as Wayne Rooney sweeps it out to Jesse Lingard, who crosses back for Anthony Martial but his shot is blocked. Ander Herrera lifts a cross into the Palace box from the right but it is too high for Wayne Rooney and Marouane Fellaini. Petering out this one. Quote Message: Wayne Rooney hasn't had a major influence. Palace have done very well and the fact that Louis van Gaal has made those two changes suggests he's not overly happy." Wayne Rooney hasn't had a major influence. 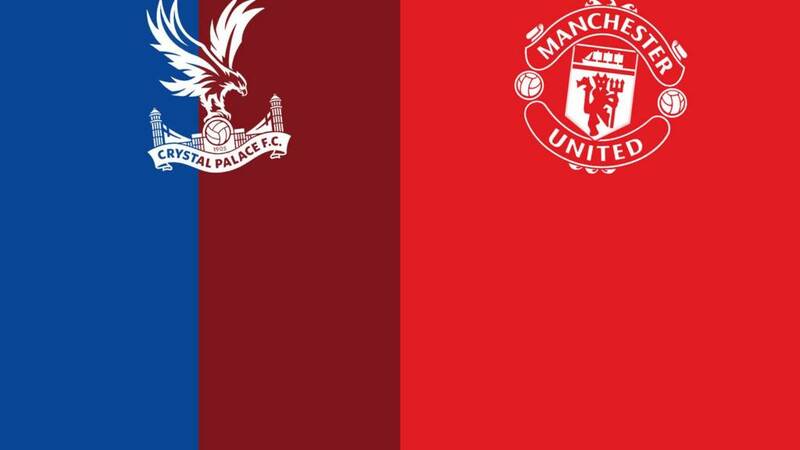 Palace have done very well and the fact that Louis van Gaal has made those two changes suggests he's not overly happy." Ashley Young wins a free-kick deep in Palace's half. Yohan Cabaye is off and Mile Jedinak is on in his place. The set-piece comes to nothing but when it's worked back to Wayne Rooney he fires over from 25 yards. As you were. "I think Yohan Cabaye could head that and I don't think he'd miss with a header from that range. But United are still in this game, and is a point at Palace the worst point? They haven't offered enough going forward, that's fair to say, but I don't mind Louis van Gaal biting back to Paul Scholes. That's his personality. We were critical of United conceding goals last year and they've sorted that out." Anthony Martial is popping up all over the place now. Juan Mata is replaced by Jesse Lingard for Manchester United's final substitution. Quote Message: Anthony Martial is playing up the middle now and has the freedom to make his moves from the centre." Anthony Martial is playing up the middle now and has the freedom to make his moves from the centre." Palace are down the other end and win a corner. It's met beautifully from Scott Dann, but his header is inches wide. Moments later, Palace are on the attack again and David De Gea saves from Dwight Gayle. Opening up. Manchester United penalty appeal. Anthony Martial crosses low from the left and Ander Herrera beats Damien Delaney and goes down with the merest of touches but referee Mike Jones is not interested. Great chance for Yohan Cabaye. A long ball is swept out to the right wing and Joel Ward's cross picks out Cabaye perfectly but he cannot guide his effort from 10 yards out on target. That Manchester United substitution looks like it has changed their options up front too. Anthony Martial attacks down the right but is crowded out by the Palace defence. Ashley Young bursts down the right for United but his cross is fired out of play. The Palace fans enjoy tormenting him for that. So now it's more than five hours since Manchester United have managed a goal. Is Marouane Fellaini the man to score it? He is on for Bastian Schweinsteiger. Bit of a baptism of fire for Ashley Young, with the winger now detailed with thwarting Wilfried Zaha at right-back. After being tormented in the last 10 minutes by Wilfried Zaha, Matteo Darmian is going off to be replaced by Ashley Young. United's Juan Mata is in down the left but cannot feed it to Wayne Rooney. Palace are on the attack down the other end as Yannick Bolasie bursts down the right. The game is opening up and Ashley Young is getting ready to come on from the bench. Quote Message: Wilfried Zaha is a very dangerous attacker but he's got to remember what he's there for. It's all very well tracking back, but wingers are there to create chances or score goals." Wilfried Zaha is a very dangerous attacker but he's got to remember what he's there for. It's all very well tracking back, but wingers are there to create chances or score goals." Wilfried Zaha then tries a spectacular effort at the back post from a deep cross but mis-times his attempted volley for an air shot. This game needs a super sub. Patrick Bamford? Bakary Sako? What about Marouane Fellaini or Jess Lingard? Wilfried Zaha is starting to get more on the ball and attacks Matteo Darmian again before running the ball out of play. Quote Message: Before half-time, United were shading the game. Since the restart, Palace have come again. The big concern for United is the lack of scoring opportunities created." Before half-time, United were shading the game. Since the restart, Palace have come again. The big concern for United is the lack of scoring opportunities created." Seven shots so far in this game. Five for Palace, two for United, with one on target for the visitors. What was Paul Scholes saying? Can you tell I'm filling? Getting a bit scrappy now. No real pattern to the second half as yet. Another goalless draw for United? Palace will probably be happy with that. Quote Message: If Palace hope to score, Dwight Gayle has to get more support, whether it's from Yannick Bolasie, from Jason Puncheon coming forward, or from Wilfried Zaha on the wing." If Palace hope to score, Dwight Gayle has to get more support, whether it's from Yannick Bolasie, from Jason Puncheon coming forward, or from Wilfried Zaha on the wing." Wilfried Zaha clips it around Matteo Darmian, but is hauled down by the United left-back. Definite booking. Yohan Cabaye is now tripped by Ander Herrera. The Palace midfielder is not happy and the pair give each other a push. Referee Mike Jones has a word and sorts it out without resorting to cards. A quick break from United, involving Wayne Ronney leads to a corner. The ball is headed away just before Chris Smalling can get there. Speaking of bookings, Chris Smalling receives a yellow card for hauling down Dwight Gayle. Looks like Joel Ward and Martin Kelly have switched positions at full-back. Kelly picked up a yellow card marking Anthony Martial in the first half. Palace get us under way again. Charlie: Everyone keeps calling for the days of Ferguson's free flowing football, well I remember the 1989 season, a piece of me died that year, the football was horrific... these things take time. George: Van Gaal please play Martial down the middle. Rooney isn't working there. If it doesn't work what is the worst that can happen? Adelasoye: What is it with this obsessive possession based football by LVG? You've got to be direct at times, he's turning Utd to a boredom!!! By my calculations that is now four hours and 40 minutes since Manchester United have scored a goal. When you look at the average position of Juan Mata (8), United are not probing down the right at all. The Spaniard is coming inside often. No doubt where United are trying to get the ball - Anthony Martial on the left wing. So it begs the question, why not stick him down the middle? I guess at least it means United are getting in behind on one flank. Quote Message: Slowly but surely, Manchester United got their composure and started to dictate the play. They've held sway, but struggled to create clear chances." Slowly but surely, Manchester United got their composure and started to dictate the play. They've held sway, but struggled to create clear chances." That's it for the half. Intriguing but not loads of chances. Good break from Juan Mata, who feeds Anthony Martial down the left. He crosses dangerously into the middle but Ander Herrera cannot reach it to make a telling connection. Quote Message: Wilfried Zaha is not having the best of times. He has lost possession on two or three occasions, running into trouble and not sorting his feet out quick enough." Wilfried Zaha is not having the best of times. He has lost possession on two or three occasions, running into trouble and not sorting his feet out quick enough." Juan Mata floats a ball from midfield over the top to Anthony Martial, which the Palace defence nod behind for a corner. That's what happens when the teenager gets a chance to threaten the middle of the pitch. He is also nearly on the end of the set-piece before it is cleared. After that period of United dominance, Palace are starting to knock it about again. Not yet it's not. Lovely play from Yohan Cabaye, who chests it down and loops the ball towards Dwight Gayle, but his effort is fairly tame as it bounces up off the pitch. Getting a bit scary for Palace now? Palace winger Wilfried Zaha gets on his bike against Matteo Darmian and wins a free-kick deep on the Palace left near the United byline. But the visitors clear Yohan Cabaye's poorly struck set-piece. United's Ander Herrera is starting to pull the strings behind Wayne Rooney now. The Spaniard is a very clever player on the ball and it makes an interesting battle between him and Yohan Cabaye. David Pleat was right about Palace needing to take advantage when they were on top early on. United are starting to boss it, which you can tell from the respective volume from each set of fans. United's in voice, the Palace fans have gone very quiet. Quote Message: Credit Wayne Rooney there - if he had continued his run he might have caused an injury to the goalkeeper with his studs." Credit Wayne Rooney there - if he had continued his run he might have caused an injury to the goalkeeper with his studs." Good chance for Wayne Rooney. Anthony Martial threads a superb pass through to him, but he cannot quite catch it and Wayne Hennessey nips in. Poor control from Rooney in the end. So this is what the story is now after 30 minutes. This is what it was after 20 minutes. United gathering momentum. Quote Message: United have taken those early blows and now they're really getting hold of the ball. They are moving with confidence and Palace are dropping very deep." United have taken those early blows and now they're really getting hold of the ball. They are moving with confidence and Palace are dropping very deep." Idongesit: Someone tell Wayne Rooney it's Halloween not Xmas. Giving the ball away easily. Adam: Another anonymous performance from Rooney coming up and the potent Martial stuck out on left wing, football lunacy from Van Gaal. The free-kick is wide on the left, Juan Mata and Wayne Rooney try to work a short routine, but Palace are wise to it and clear. The visitors starting to find their rhythm now, they have weathered the early storm. One featuer you keep noticing about their play is to switch it quickly to Anthony Martial, and this time the French teenager wins a free-kick after being tripped by Martin Kelly, who goes into the book. It's a good strike from Wayne Rooney and curling into the far corner but Wayne Hennessey saves well to his right. That all leads to Juan Mata winning a free-kick in the middle of the pitch after being fouled by Scott Dann. 25 yards out. Wayne Rooney over it. United holding onto the ball well, with Wayne Rooney finding Ander Herrera deep on the right but his first-time cross is cleared by the Palace but no-one was there to get on the end of it. More patient passing from United, which takes the sting out of the game a bit. You can see where They are trying to get to but Palace are surrounding Anthony Martial quickly. Quote Message: Palace are on top, but you need to score when you're on top against a team like United. Wayne Rooney looks isolated up front." Palace are on top, but you need to score when you're on top against a team like United. Wayne Rooney looks isolated up front." Thing about Yohan Cabaye is, he can also put the boot in and he's booked for scything down Bastian Schweinsteiger. Wayne Rooney takes the free-kick deep on the left, but it sails too long. Louis van Gaal looking pensive on the United bench. The Palace pans are in full voice, and no wonder. Wayne Rooney is being dispossessed quite easily so far. But Mike, I mean, Chris Smalling heads the corner away. Yohan Cabaye then overhits his subsequent cross. The French midfielder is always at the heart of things. I love watching him play. Palace are really putting the pressure on the United defence and the hosts win another corner. Replays show that Yannick Bolasie's shot was tipped onto the bar by David De Gea. The United goalkeeper saves the day again. No wonder they have so many clean sheets! Quote Message: Every team is looking for the perfect combination. Martial is playing on the left; we hear he would prefer to play more centrally. Mata is playing on the right; is he better tucked in behind the striker?" Every team is looking for the perfect combination. Martial is playing on the left; we hear he would prefer to play more centrally. Mata is playing on the right; is he better tucked in behind the striker?" From the resulting corner, it's Scott Dann who leaps highest for Palace and David De Gea tips his header over. From the following corner, there is a scramble but United clear. Breathless stuff so far and United under the cosh. Yohan Cabaye takes the free-kick, it's cleared but finds its way to Yannick Bolasie on the opposite wing and he smashes a shot against the bar from the angle. Great effort. Juan Mata fouls Joel Ward deep in United territory wide on the left. Dangerous set-piece position. United midfielder Morgan Schneiderlin pings the ball on the diagonal into Anthony Martial, who is stationed on the left wing, but he mis-controls it and it goes out of play. United settle and it's Bastian Schweinsteiger on the ball, but it goes back to the goalkeeper David De Gea. Patient is one way of putting it. Palace striker Dwight Gayle gets the ball in the United penalty area from a throw-in but Yohan Cabaye dribbles to the byline and takes it out of play. United barely in Palace's half as yet. Quote Message: Chris Smalling will be hoping to continue his fine form of the first few weeks today, but that was an early scare." Chris Smalling will be hoping to continue his fine form of the first few weeks today, but that was an early scare." Wonder if Wilfried Zaha has a point to prove today after his frustrating spell at Manchester United? United right-back Matteo Darmian is coming under pressure on the opposite flank. He was the one who gave the ball away before Dwight Gayle's effort. Wilfried Zaha, against his former club, is away down the right, crosses to Yannick Bolasie, but it falls to Dwight Gayle, who gives David De Gea an early tester. Good start for the Eagles. A rousing atmosphere at Selhurst Park. Manchester United get us are under way on a beautiful afternoon in south London. Referee Mike Jones in charge. "Back-to-back goalless performances have increased the public debate about the composition of Manchester United's forward line, but Crystal Palace have striking issues of their own to contend with. "Surprisingly for a side as high as seventh in the table, none of their strikers have managed to score a single goal in the Premier League so far. "Alan Pardew's side are more than capable of making it a difficult afternoon for United, but they've lost four of the last six in the league and have managed only four goals in the process - three of them penalties from Yohan Cabaye." The players are out on the pitch and conducting their pre-match handshakes. Alan Pardew makes a good point, and it was one also made by Paul Scholes. For all their lack of spark up front, Manchester United have certainly been keeping it tight at the back. They have six clean sheets this season and have conceded only eight goals, which is the best record in the Premier League this season on both counts. What was it former Liverpool defender Alan Hansen used to say? "Goals win you games, clean sheets win you championships." Not sure if Crystal Palace manager Alan Pardew has been that impressed by Louis van Gaal's methods either. He says: "United's long spells of possession could threaten to drive the atmosphere into a lull, but we need to keep the fans singing along. United aren't getting as many shots off as they normally do, but defensively they're always in a good shape. I expect it to be a fairly cagey game." So what do you make of the Manchester United team? Can they get among the goals with Anthony Martial playing on the left? Is Paul Scholes right that United offer little excitement? And what is the thinking behind Louis van Gaal's team selection? Quote Message: Manchester United are playing a lot of possession football, but if you look at the likes of West Ham, they are winning without the ball. They break with pace, but who has legs in the United team except Anthony Martial? Manchester United are playing a lot of possession football, but if you look at the likes of West Ham, they are winning without the ball. They break with pace, but who has legs in the United team except Anthony Martial? The teams are just finishing their warm-ups in the autumnal sunshine. Louis van Gaal made an interesting spectator while watching Liverpool's 3-1 win over Chelsea on the big screen earlier. Crystal Palace's top scorer Yohan Cabaye is back in the side after missing the Capital One Cup defeat by Manchester City in midweek. he's one of five changes as James McArthur, Jason Puncheon and Dwight Gayle come back in. Manchester United shuffle the pack after their defeat by Middlesbrough on penalties in the same competition. Wayne Rooney, Anthony Martial and David De Gea all return, with Bastian Schweinsteiger and Morgan Schneiderlin at the base of midfield. Some Manchester United fans and football experts have suggested that the lack of goals has come as a result of Louis van Gaal preferring Wayne Rooney up front and Anthony Martial on the left. Quote Message: I understand what Paul Scholes is saying, I’ve watched United over the last year or so under Louis van Gaal and I can think of four or five games where they have shown what a good side they are. It's a bit painful at times watching them. If you get a well organised side, United struggle to break them down. I can understand Van Gaal’s argument, though, because they were in a bit of a hole when he took over. Money usually buys success and perhaps they should be playing better under Van Gaal. I understand what Paul Scholes is saying, I’ve watched United over the last year or so under Louis van Gaal and I can think of four or five games where they have shown what a good side they are. It's a bit painful at times watching them. If you get a well organised side, United struggle to break them down. I can understand Van Gaal’s argument, though, because they were in a bit of a hole when he took over. Money usually buys success and perhaps they should be playing better under Van Gaal. A goal glut may be a tad optimistic, but Manchester United have not lost a Premier League game against Palace, with the Eagles' last league victory coming in a 3-0 win in 1991 when a John Salako double and another goal from Ian Wright did the damage. Salako is now first-team coach under Alan Pardew at Crystal Palace, and was the subject of an engaging interview with the Guardian this week. Chance for a goal glut? After goalless draws for Manchester United against Manchester City in the Premier League and in the Capital One Cup tie against Middlesbrough, which they lost on penalties, Louis van Gaal may have a tough time arguing that case with some fans. But against Crystal Palace his team has an impressive record and Alan Pardew's have lost their last three games in all competitions. Former Manchester United midfielder Paul Scholes stoked the fire at Old Trafford this week by saying he would "not enjoy" playing in Louis van Gaal's side because "there is a lack of creativity and risk." Van Gaal responded by saying: "Sticks and stones will break my bones, but names won't hurt me." He added: "I don't agree with his opinion. I always take risks. Manchester United is always entertaining."